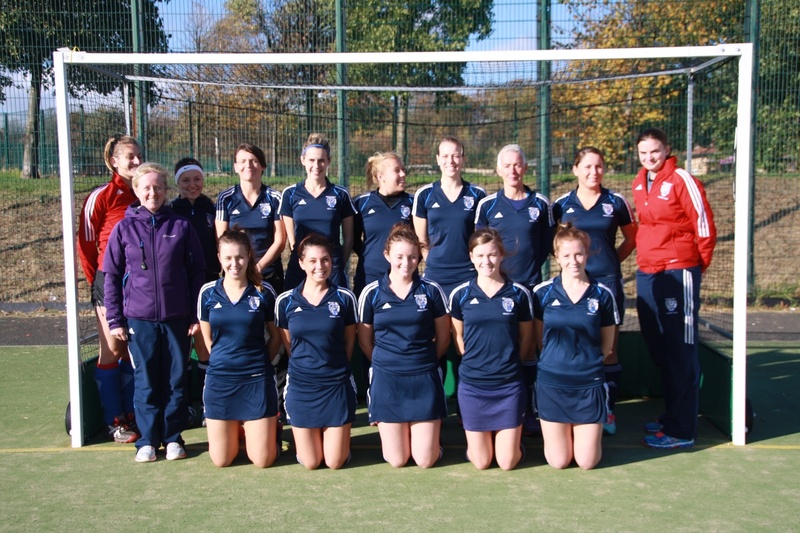 Whitley Bay and Tynemouth Ladies 2s played their first home match of the season against Chester. The squad was a small one again, but this week we had the privilege of having one sub(!) - Gemma Crackett - who stepped up from the 3s. After a pre-match talk in which the team agreed to go out hard and try for early goals, WBTHC created much of the attacking pressure for the first 15 minutes. However, a goal line scramble from a quick break saw the ball rolling across the line to give Chester the first goal of the match. Rather than allow their heads to go down, WBTHC players stepped up another level in response. After defending doggedly against continued Chester pressure, the hard work paid off and WBTHC made it 1-1 just before half-time, helped by a free hit self-pass taken by forward Angela Crane. She nimbly took on the Chester defence in a sprint for the baseline, and whipped the ball across the goal mouth, enabling Heidi Ratter to knock it in through the Chester keeper’s legs. Manager Lynne Dobison and captain Natalie Favell could only praise the players for their hard work during the half-time team talk, and motivate them to continue with the same throughout the second half. Once again, WBTHC came out hard, and dominated possession at the beginning of the second half, leading to their first and only attacking short corner. Chloe Reid’s accurate push out was followed by a textbook strike by Clare Taylor, which was helped into the back of the net by a Chester defender, making the score 2-1 to WBTHC. The last 20 minutes of the second half saw WBTHC’s work ethic tested as every member of the team defended to ensure they kept their lead. Keeper, Jo Towndrow, produced two brilliant saves during a string of Chester short corners, and Angela Crane and Emma Davey came back to help defend against the onslaught of pressure by Chester. Our senior back duo, Clare Taylor and Jean Hughes, played brilliantly together, and sometimes seemed to have telepathic communication. A late chance saw Emma Davey give the ball to Heidi Ratter, bypassing the Chester back four for a one-on-one with the keeper. WBTHC were unable to capitalise on this. All in all, this well-fought match was a boost for all players, and a true team performance.